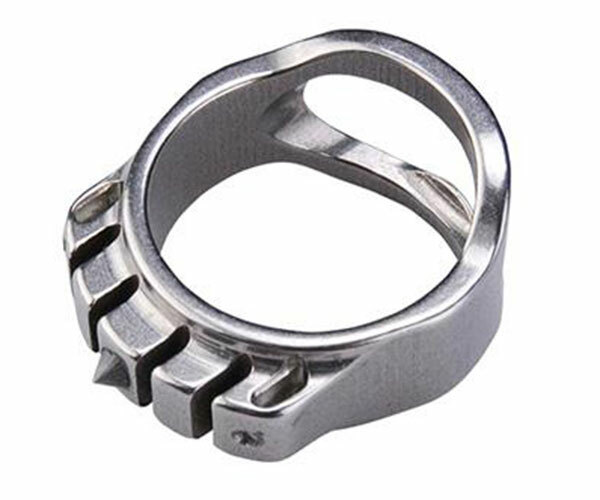 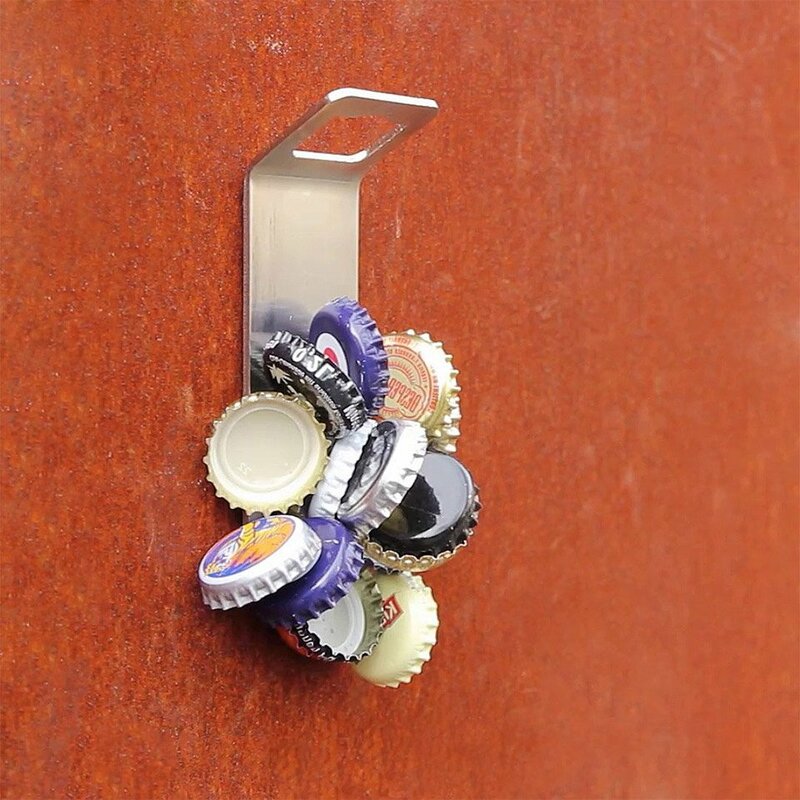 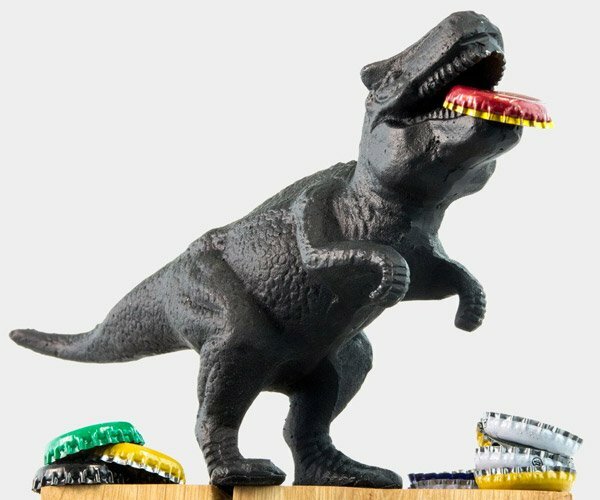 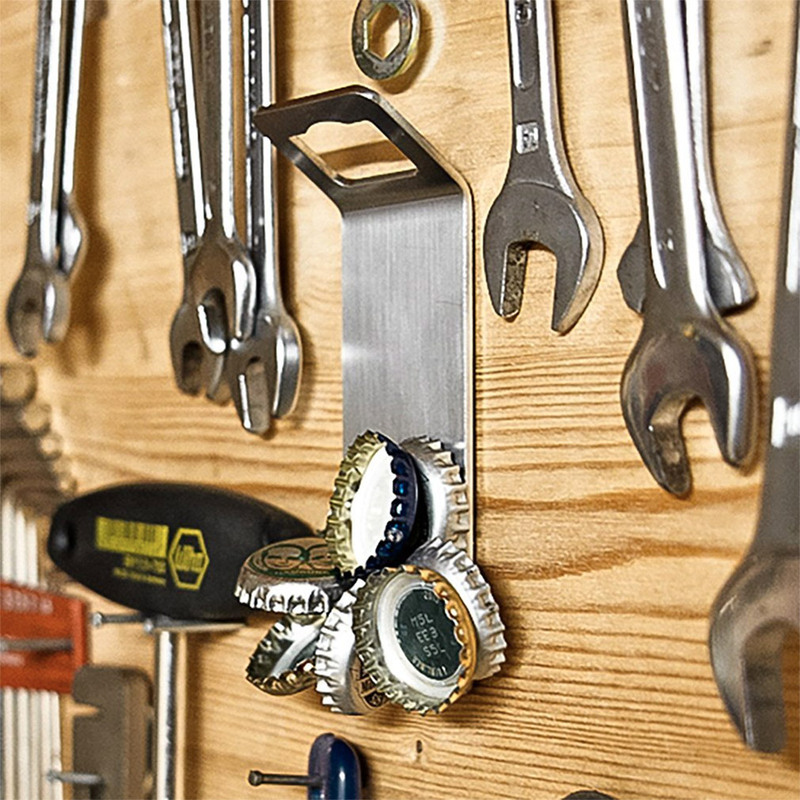 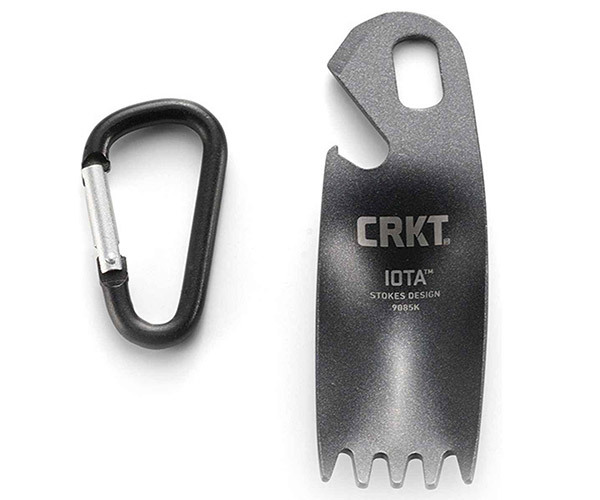 A modern take on the magnetic catch bottle opener. 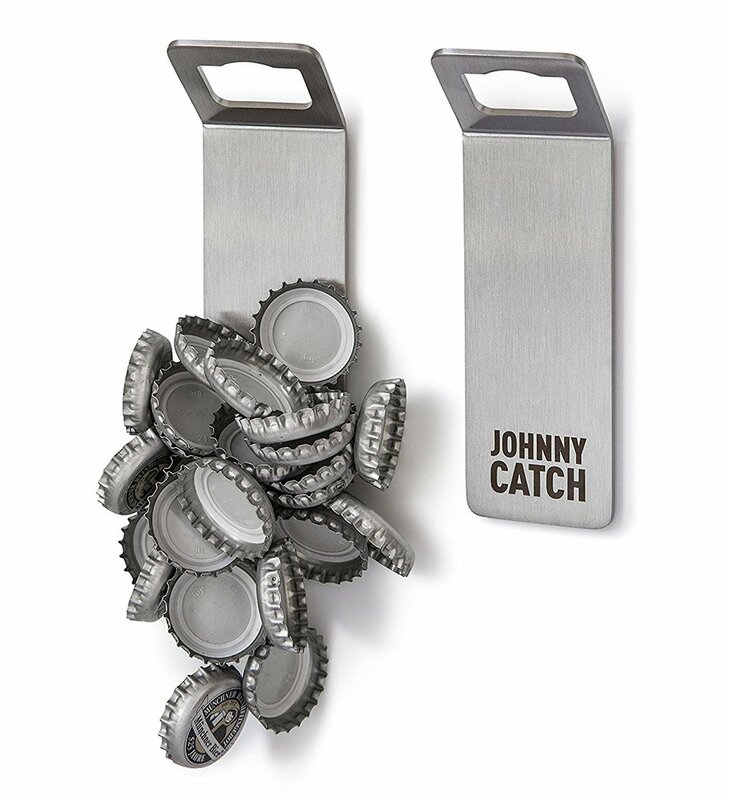 The slim, stainless steel Johnny Catch mounts to your wall using super-strong adhesive, and grabs bottle caps before the fall on the floor. 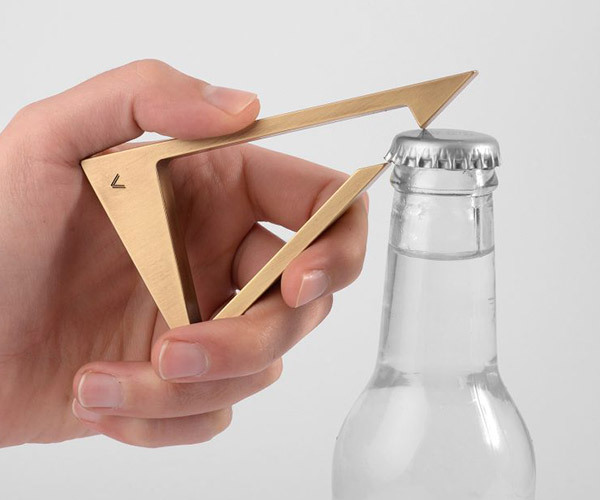 Also available with a cup catcher instead of magnets.